[00:12] Actor Wentworth Miller who stars in a video for awareness of depression and suicide prevention. [00:38] In San Antonio a documentary was produced to address the challenges and treatments of dyslexia. [01:08] At Iowa State researchers are coming closer to finding a cure for Parkinson’s. [01:35] Next up, a diet known as the “mind diet” shows a reduced risk for Alzheimer’s. 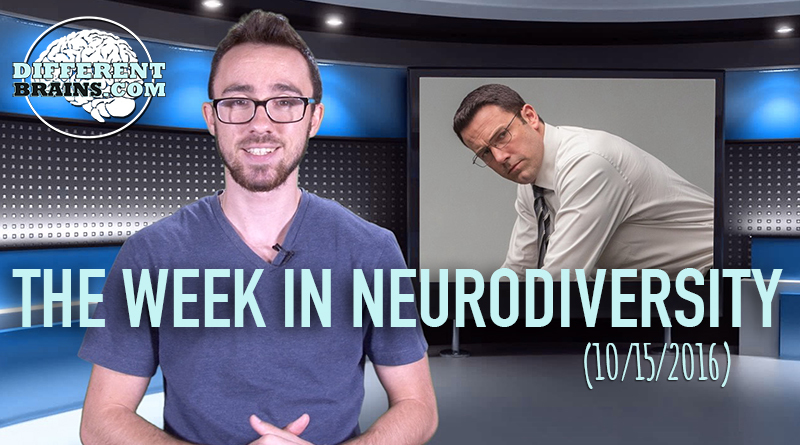 [02:13] Ben Affleck is starring in the new film The Accountant, a role in which Affleck prepared for by studying and researching autism. Next up, a diet known as the “mind diet” shows a reduced risk for Alzheimers. 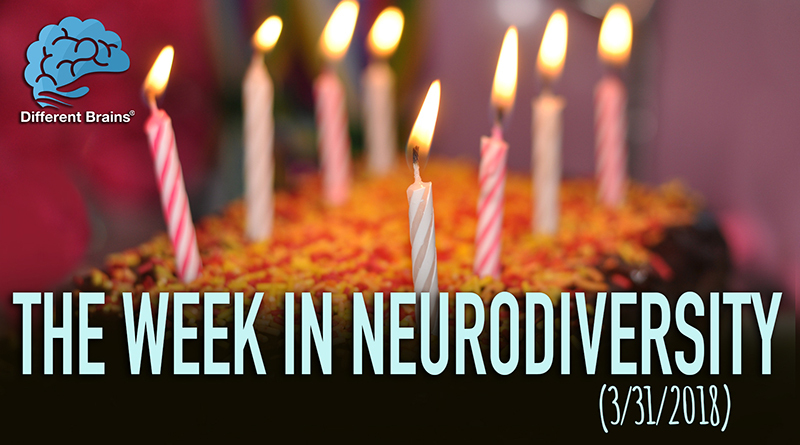 (3 min 24 sec) In this episode a 3-year-old with Down syndrome enters the Baby Miss American USA Patriot Pageant, a Colorado community comes together for a girl with autism’s birthday party, and more! 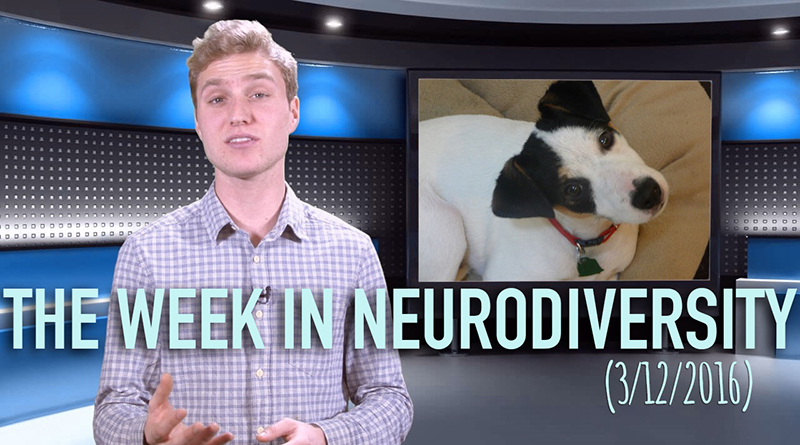 On the Week in Neurodiversity, the host highlights newsworthy events in the news involving different brains.“Millennial Neurodiversity News”Hosted by Matthew Ryan. 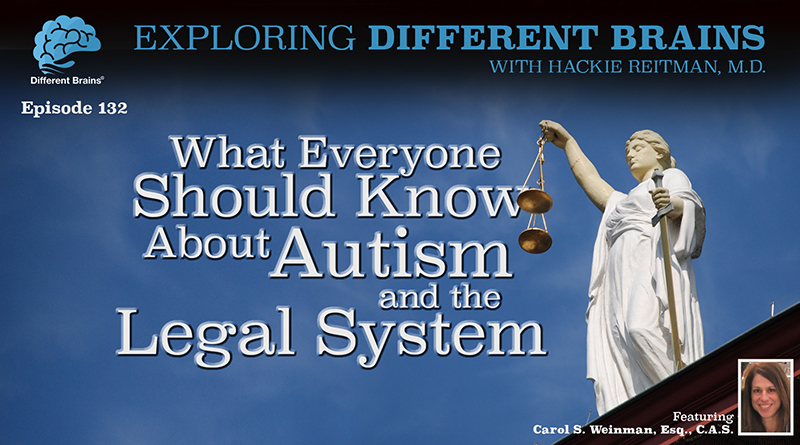 (16 mins) In this episode, Dr. Hackie Reitman continues his conversation with criminal defense attorney and autism expert Carol S. Weinman, Esq., C.A.S..